Hello! My name is Jereme. After years of working with animals, I decided to venture out on my own and make my dreams a reality by starting this business. I am located in Arizona and live with the love of my life, my dog, Stitch! She is a five year old pitbull that I adopted when she was one. I'm a die hard Denver Broncos fan and in my spare time you can find me and my family screaming at the tv on Sunday's in our gear. 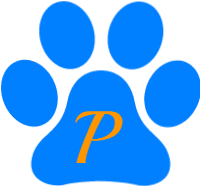 The Broncos are what inspired my blue and orange paw print logo! I have many years in the animal business. I started as a pet care specialist in a boarding facility. While there, I became safety certified and an expert in recognizing the 7 critical signs of stress. I also had a way in connecting with nervous, anxious or angry dogs which is where my passion for training came in. I then went onto to work as a vet tech at Arrowhead Ranch Animal Hospital assisting the Vets in surgeries and every day hospital needs. Now I work for myself making my passion my career. I try to treat everyone's pets as my own because I understand the value a pet brings to a person or family. My passion for training stems from being a big bully breed advocate. Seeing the neglectful situations that they are put in, made me want to prove to the world the type of companion they really are. I pride myself in my work with dogs with behavioral issues such as anxiety and aggression. That is the reason I opened my storefront. To provide a place where dogs of all breeds and temperaments can feel welcomed to train, play, or get groomed! As I kept growing, I decided to put together a team of equally dedicated and passionate animal lovers. I have individually picked and interviewed each of my amazing staff to ensure your furry friends are in the best care possible! When you hire Paddock's Paws, you are guaranteed to be placed with a team member that perfectly fits your needs. 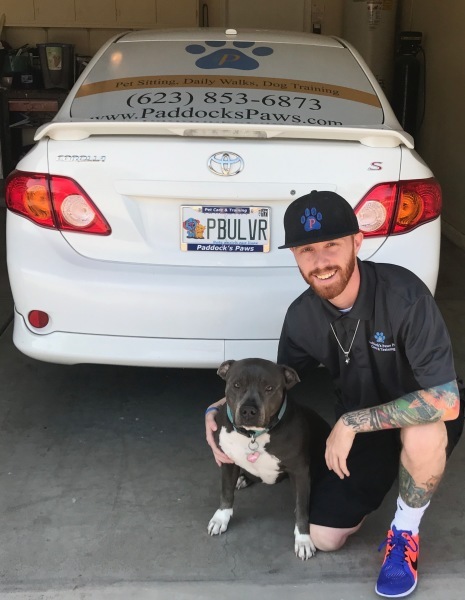 Paddock's Paws Pet Care & Training's owner and behavioral modification trainer, Jereme Paddock, was featured on Theory of Pets Podcast! Theory of Pets is a nationally recognized podcast for pet owners looking to hear from some of the leading professionals in the industry about solutions to some problems they may be having. In this episode, Top Dog Tips' Samantha Randall interviewed Jereme about working with aggressive dogs! She also asks him about tips on what to do if you think your dog is showing signs of aggression! 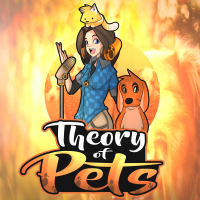 Theory of Pets can be heard on both iTunes and the Google Play Store! You can also click the link to hear the interview!